Minnesota law treats marijuana as a controlled substance and recreational marijuana is still illegal. Meaning you there are penalties for possession, use and dealing. Possession of more than 42.5g in Minnesota will land you with a felony, less than 42.5g and you will receive a $200 fine unless you are registered as a patient. While medical marijuana was legalized in Minnesota, this will only be prepared in the form of liquid, pill or vaporized. For anyone looking to come to California who’s in need of a Medical Marijuana Card, book an appointment and have a chat with Leafwell today. $200 annually. For those on Social Security disability, Supplemental Security Insurance or who are enrolled onto MinnesotaCare, the fee is $50. 30-day supply, to be determined by physician’s recommendation. Smokeable preparations prohibited. Terminal illness with a life expectancy of less than one year. Intractable pain, effective August 2016. 2014 – SF 2470 is approved and signed into law by Governor Mark Dayton. State penalties for those using or possessing cannabis are removed. 2016 – Intractable pain is added to the list of conditions medical marijuana may be recommended for. Patients may possess a limit of a 30-day supply of non-smokable medical marijuana. No more than 8 dispensaries to be operational at any one time. Only marijuana in liquid or oil is permitted to be used. 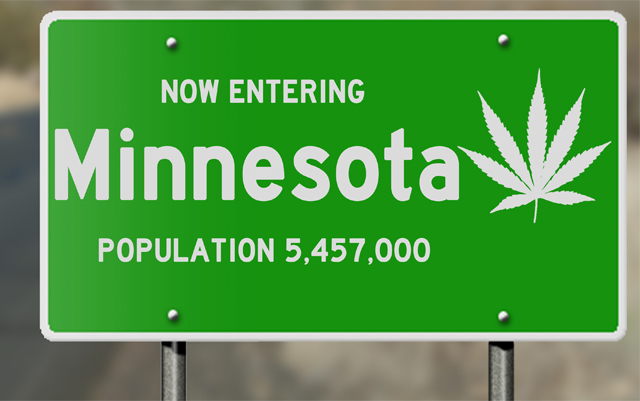 Minnesota has decriminalized cannabis to an extent, with no charge (and a conditional discharge for a first offense) for those in possession of 42.5 g or less of cannabis. A maximum fine of $200 may be issued. This is the same for giving away up to 42.5 g of cannabis without remuneration. Possession or sale of any more than 42.5 g is a felony, and can bring with it up to 5 years’ incarceration and/or a $10,000 fine. Those caught with cannabis may also be required to attend a drug education course. Penalties for possession of hashish or concentrates is treated equally to marijuana. Conviction for possession may result in a 30-day driver’s license ban. Cultivation is treated similarly to possession. Remember, though: cultivating may be seen as “possession with intent to distribute”, meaning higher sentences. Possession of paraphernalia and sale or advertising of paraphernalia is a misdemeanor, and can bring a fine of between $300 and $1,000.